The perfect gift for anyone, anywhere! Two cans of award-winning Black Pearl Clam Chowder and two packets of Westminster Oyster Crackers, baked fresh in Vermont. 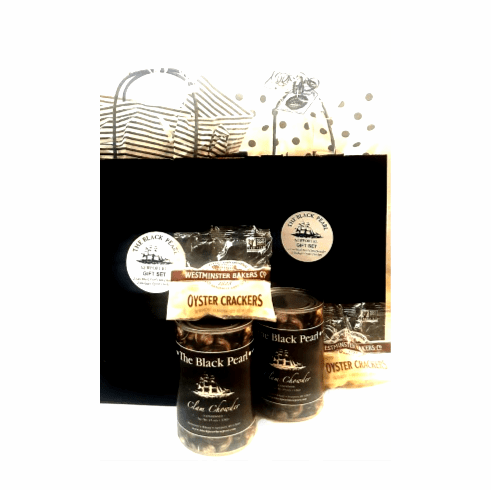 Packaged in a Black Pearl gift bag for the perfect presentation!